Transportation is considered as a vein of business body, to give quick & quality products to destination. 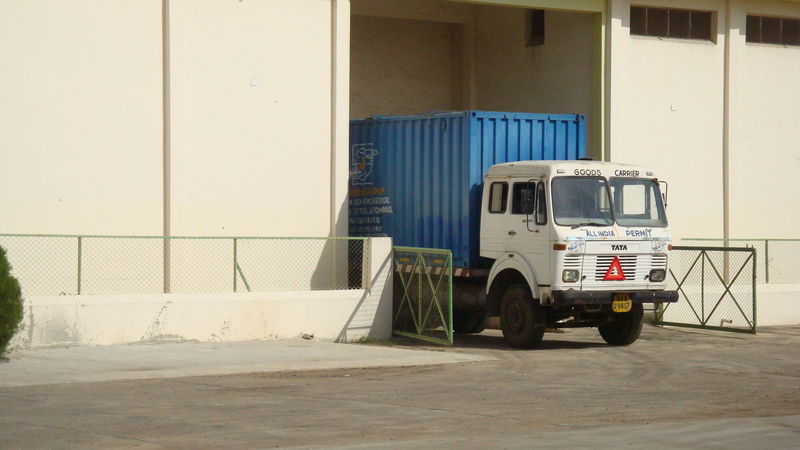 We have our own transportation facilities – 5 trucks with marine containers and 3 trucks for transporting raw material from markets to our well designed warehouses. We have our own 2 Forklifts (battery operated and diesel operated) to maintain hygienic condition for handing/loading of finish products in Jumbo BagAll shipments are made in marine containers which are cleaned and fumigated before stuffing at plant by a specially trained staff. Jyotindra International proud to be a leading manufacturer and supplier of Psyllium and its related Products like psyllium husk, psyllium khakha powder, psyllium husk powder and Senna leaves and pods powder etc. We are exporting our products in all over the world as per buyers requirements and specifications.